Padma Hamilton is a practicing watercolour artist, specializing in capturing the essence of the human body from observation (life model). A passionate outdoors sketcher who loves to create quick watercolour impressions from life. 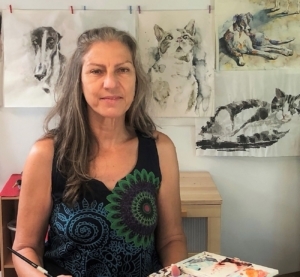 She is a member of the Watercolour Society of WA and enjoys teaching. Her class offers a supportive and fun environment for developing observation skills, practicing basic to advanced use of watercolours and drawing skills and boosting students creativity.